Acer Iconia Tab 10 Specifications: Acer has unveiled a 4G tablet under its Iconia series flagship in the domestic market. The Taiwanese giant Acer has announced the tablet withÂ Acer Iconia Tab 10 SpecificationsÂ includes LTE connectivity and dual SIM support so that the user can use it as a personal as well as business phone number. 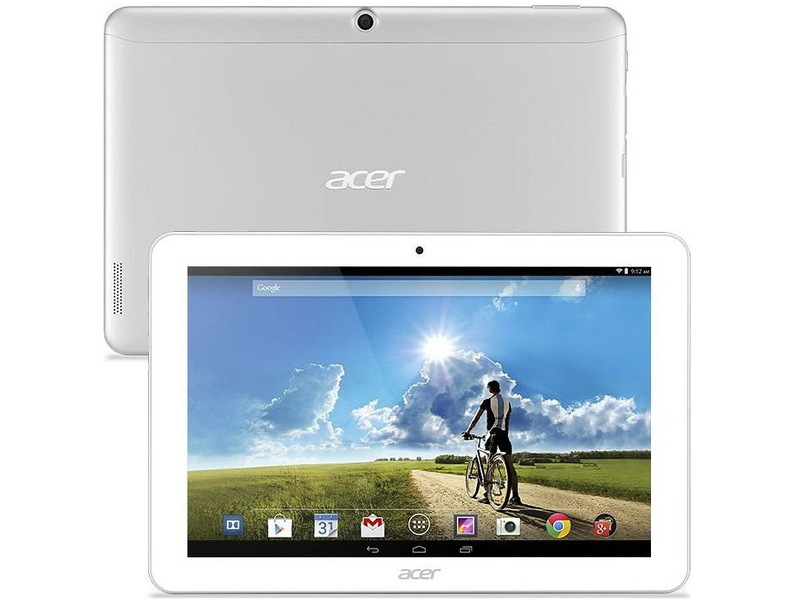 To have a closer look on the tablet, let us jump toÂ Acer Iconia Tab 10 Specifications. The Iconia Tab 10 is powered by a quad core Cortex-7 CPU clocked at a speed of 1.5 GHz on 64-bit Mediatek quad-core processor coupled with 2 GB of RAM. Acer Iconia Tab 10 has the advantage or merit of its giant 10.1-inch IPS display with a resolution of 1080 x 1920 pixels. The Acer Iconia tab 10 has a 5-megapixel rear camera without flash and a 2-megapixel Â front camera. Acer Iconia Talk s tablet has the disadvantage or drawback that it runs on outdated Android 4.4 KitKat operating system. This demerit ofÂ Acer Iconia Tab 10 can cost to dwindle its popularity due to arrival of its counterpart in the market. Acer Iconia Tab 10 is attractive looking tablet with sharp edges. It is available in two variant black and white. Device features 10.1-inch full HD Â display with an amazing 1080 x 1920 pixel resolution. Acer Iconia Tab 10 features a 1.5 GHz Cortex-A7 Quad-Core processor on a 64-bitÂ Mediatek quad-core processor coupled with 2 GB RAM to provide smooth and fast processing.It also houses 32 GB of internal storage which can be expanded up to 128 GB.With such strong processor ,graphic processor and RAM you can play your favorite game with ease and without lagging. Acer Talk s tablet runs on outdatedÂ Android 4.4 KitKat operating system. There is no news regarding upgradation to the latest android 5.0 that is lollipop so this is not a good news for the android lovers. Acer Iconia Tab 10 comes with 5-megapixel rear camera with auto-focus and with no LED flash and the front camera is just 2-megapixel only. Acer Iconia s tabletÂ is powered by 3750 mAh battery whichÂ delivers 14Â hours of talk time and 14.5 days of standby time.Â For connectivity optionÂ Acer Iconia Talk s tablet has Bluetooth v4.0, Wi-Fi, micro-USB, GPS, 4G. Acer Iconia Talk s tablet is a price tag of Rs. 15000 in Taiwan or $249 in US and its availability across the globe is yet to announced. The Acer Iconia Tab 10 has what’s necessary to have a awesome displayÂ experience and it’s better than most tablets in its price range. For more information about other gadget stay tuned to the website and subscribe the website through email.